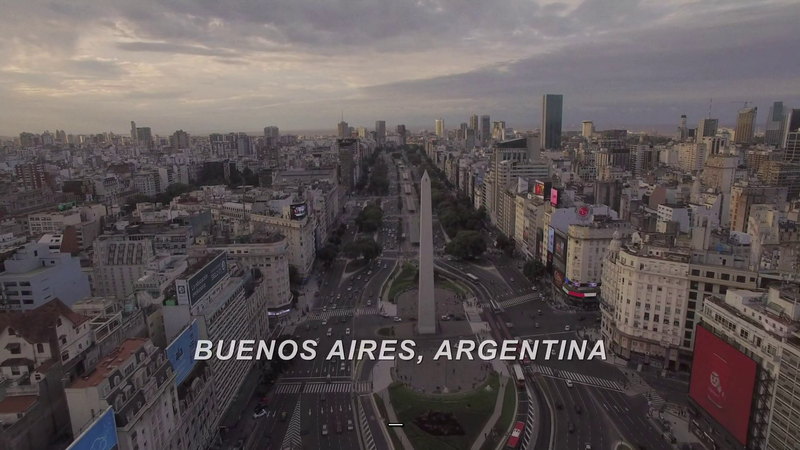 Is it me or there was a scene in Buenos Aires at some point in The Return? There wasn't in my reality but realities are infinite so there could have been in yours. The closest thing I can think of is the little electronic box that many believe was in Mexico. Oh yeah, why was there even an Argentina reference in the show? What was that little box thing? I THINK there was maybe sort of a scene in Buenas Aires. But who even knows at this point.?! What was it about that box? There were two (very brief) scenes in Buenos Aires, Argentina, both in Part 5. First, the thugs who put the bomb on Dougie's car call Lorraine to basically say how nothing's happening. Lorraine hangs up with them, seems distressed, and texts something to a number in Argentina, wherein we see it go through to a little black box with a blinking light on it, in a dingy room in Buenos Aires. Toward the end of the episode, Mr. C makes his phone call from the prison. This is when he sets off the the prison alarms, and says into the phone, "The cow jumped over the moon." We are then taken back to the same dingy room in Buenos Aries with the black box and its blinking light. It then pops into a small orb. What the h*ll that's all about, I've no idea. Just got an idea. We see that BadCoop is able to cause strange things to happen with technology. Remember when he's in the car with Ray and he throws off the tracking devices using some kind of tech voodoo? Maybe the Argentina box is the same thing. It's like black lodge voodoo technology. So much so it even changes shape. Given that lodge spirits travel along electrical wires I guess Doppels can manipulate electrical devices too. Somehow, the box is a tulpa. That's all I got. This has to be important somehow?? What the heck? Was the black box Jeffries' tulpa? Just looking over this, now that the show is over, but I can assure you that the box was not in his hotel room, it was in the basement level of the hotel. Basement Level = Black Lodge. That's a prevailing theory is that the hotel (The Palm Deluxe) is a gateway to the lodge, much like the circle of sycamore trees is in Twin Peaks. As an aside, we also know now that the gold orb is a tulpa. Of whom, I am still unclear. So, maybe the black box is a tulpa of tea kettle Jeffries? I honestly still don't know what to do with that scene. I just LOVE that these old topics are coming back up. So many things I have forgotten. I am getting inspired to watch TR again after all these months. Keep it up guys! ? ? ? Yes I also think black box could be linked to Jefferies. Maybe Jefferies think bad Coop os good Coop and vica versa? "Who do you think that is there?"